Limed fleshings is a byproduct from tanneries. Valuable animal fat can be recovered during the processing of limed fleshings. Our customers profit twice over from this fat recovery: Firstly, the disposal costs are drastically reduced and, secondly, a valuable raw material is obtained – the fat. 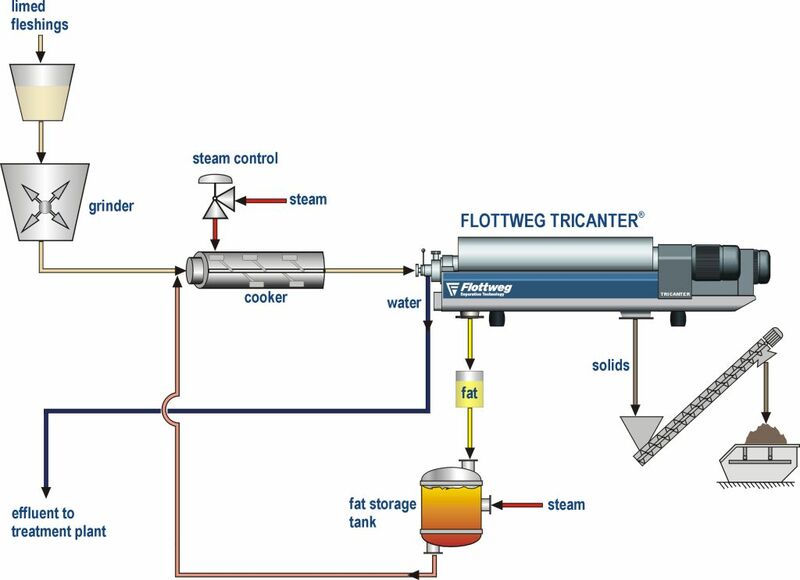 Flottweg produces all its centrifuges with specialists in Germany. We find the optimum solution for our customers in processing limed fleshings in tanneries. From individual centrifuges through to entire systems – our projects are individually tailored to customers‘ requirements.